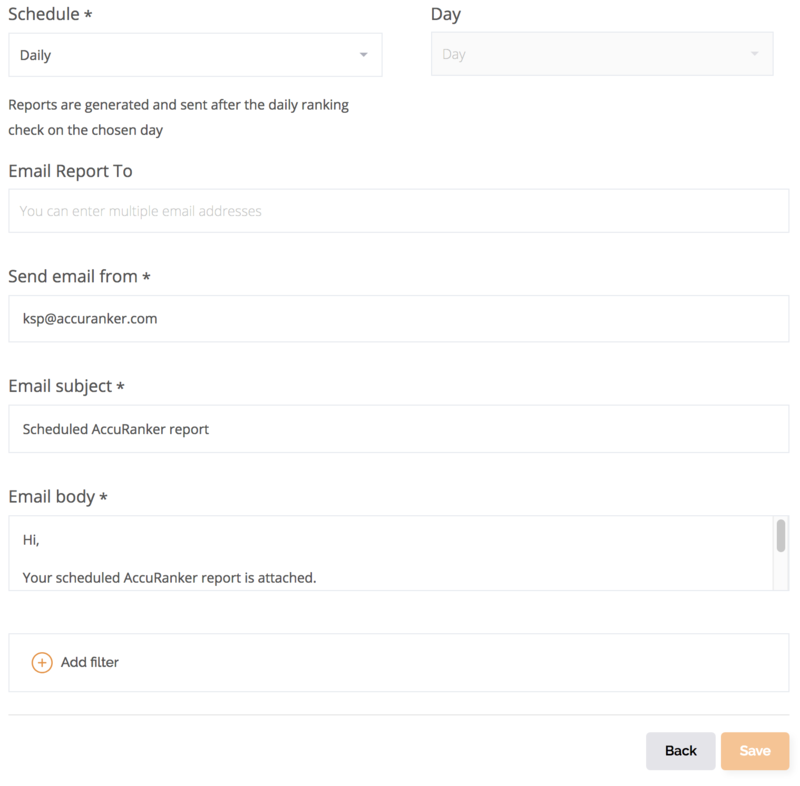 Scheduled Reports help you automate the reporting process, saving you time and effort when reporting to clients or upper management. 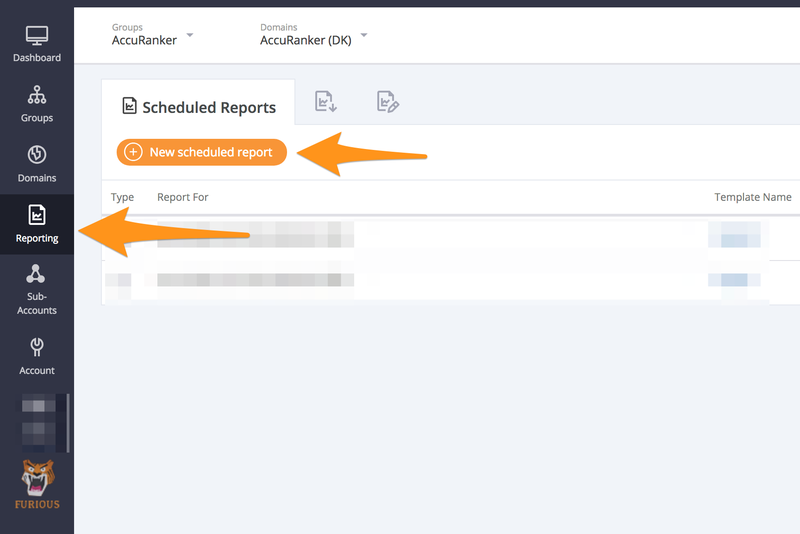 Go to the Reporting tab and select New scheduled report. 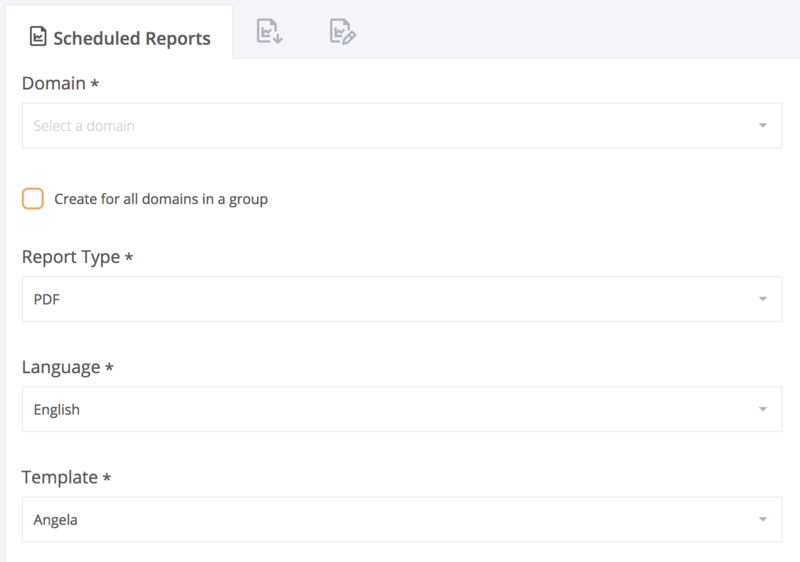 Choose Domain, Report Type (PDF, CSV, Sheets), Language and Template. Choose Schedule, which can either be Daily, Weekly or Monthly scheduled. Set schedule settings. (on Daily, Weekly or Monthly basis). Important note: The report will be sent when your keywords have been updated for the day. The filtering options are the same you know in the Keywords list view. Would you like to know how to add your own logo to the reports? Let's create Branded Reports together then!